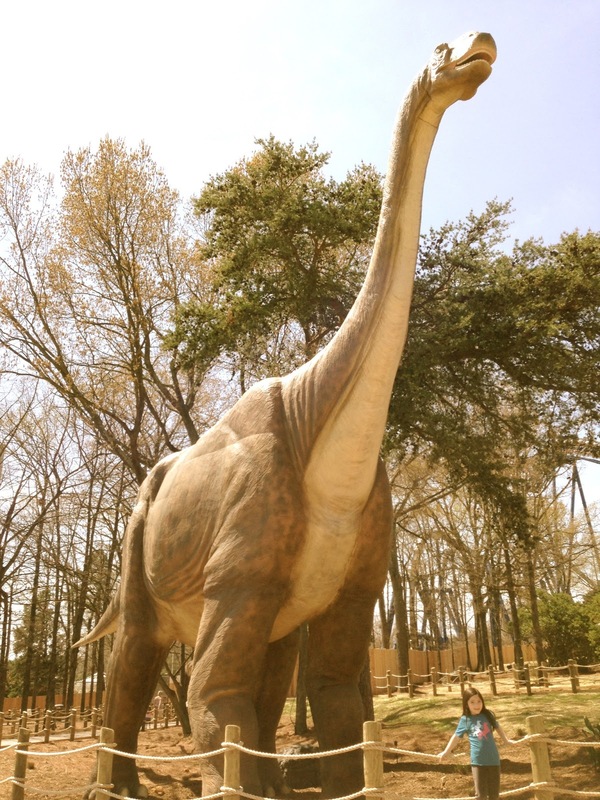 Carowinds is now filled with 32 lifelike dinosaurs in their new Dinosaurs Alive exhibit! 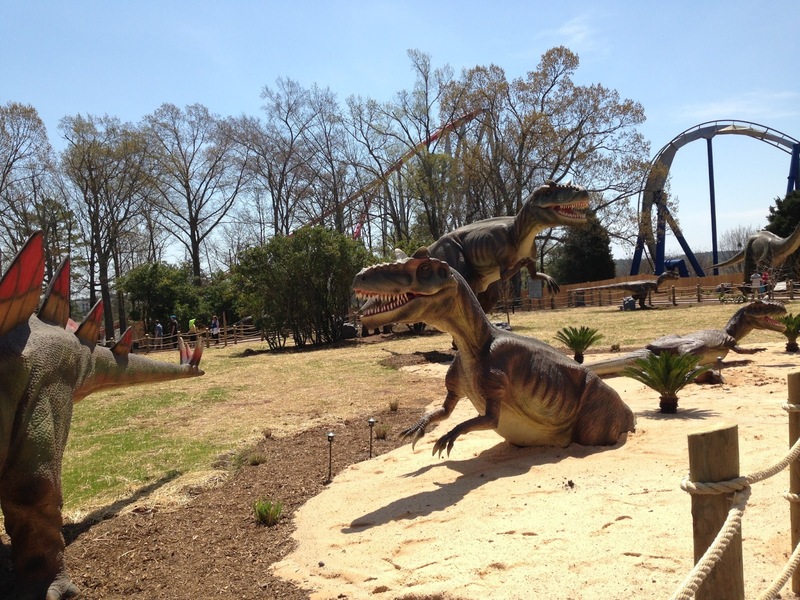 The multi-million dollar exhibit is the largest animatronic dinosaur park in the southeast! There are 25 diverse species featured with tons of information available about each one. We had the chance to walk through the 5 acre exhibit over the weekend and I couldn’t be more impressed! We all felt like we were walking through a dinosaur zoo. The life-size dinosaurs are animatronic, while some can be controlled by the guest and some move on their own. Each dinosaur has its own unique roar teaching you the different sounds each animal made. Listening to the different roars while they moved really made you feel like you were among real live dinosaurs! The largest dinosaur on exhibit is 40 feet high and over 60 feet long. 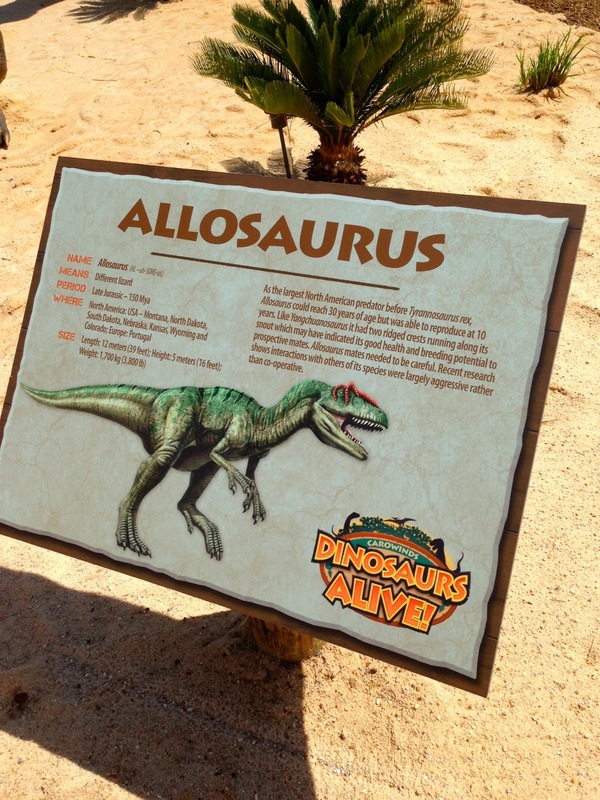 Each dinosaur is scientifically accurate based on current paleontological information. 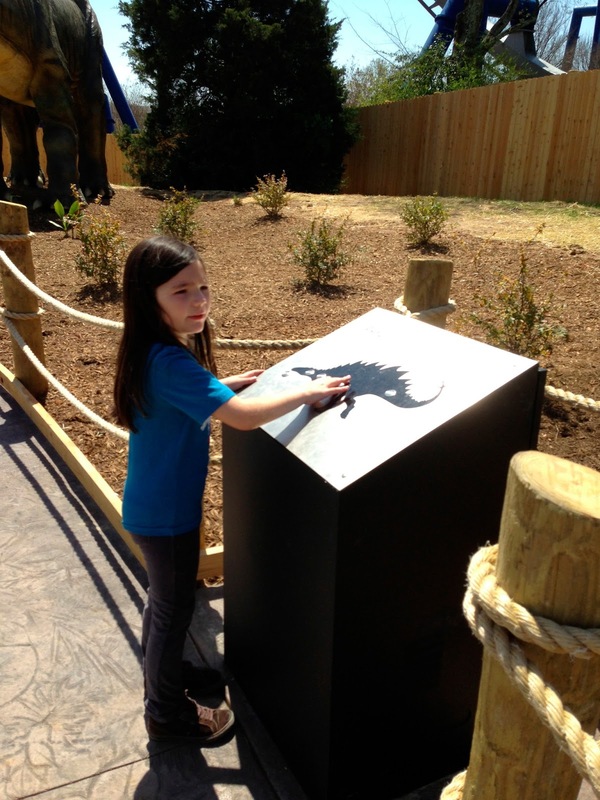 Not only are the dinosaurs accurate, but you also get to see their behavior depicted through their habitats! There are even scenes based on fossil evidence! One of my favorite added features of the exhibit is the cute jokes published along the walkway. My daughter enjoyed reading them and thought they were hysterical. There are also fossil like imprints on the walkway, funny signs like don’t feed the dinosaurs, a real dig site where kids can find fossils, and a dinosaur souvenir shop to get lots of dino gear. 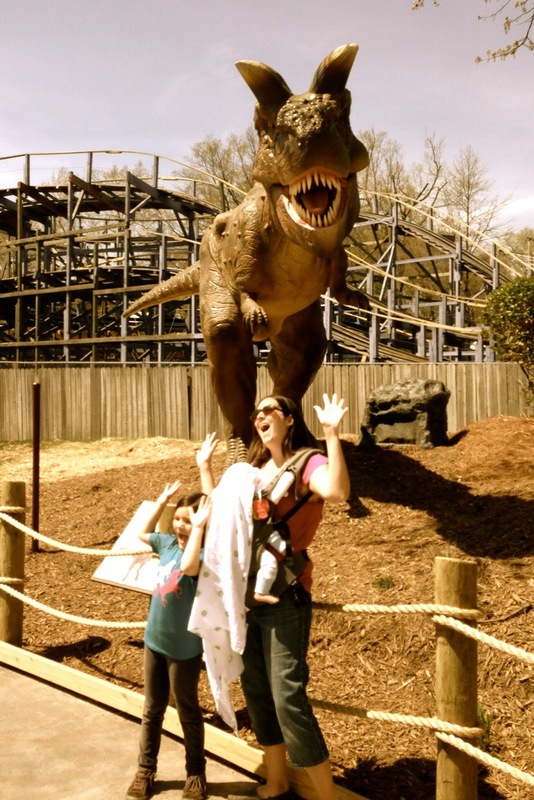 Dinosaurs Alive is a fun education experience the whole family will love! You can learn interesting, current facts about each specie while seeing the fine details of each animal. This is unlike any other dinosaur exhibit you’ve ever seen! This is as close to the real thing we ever will get. 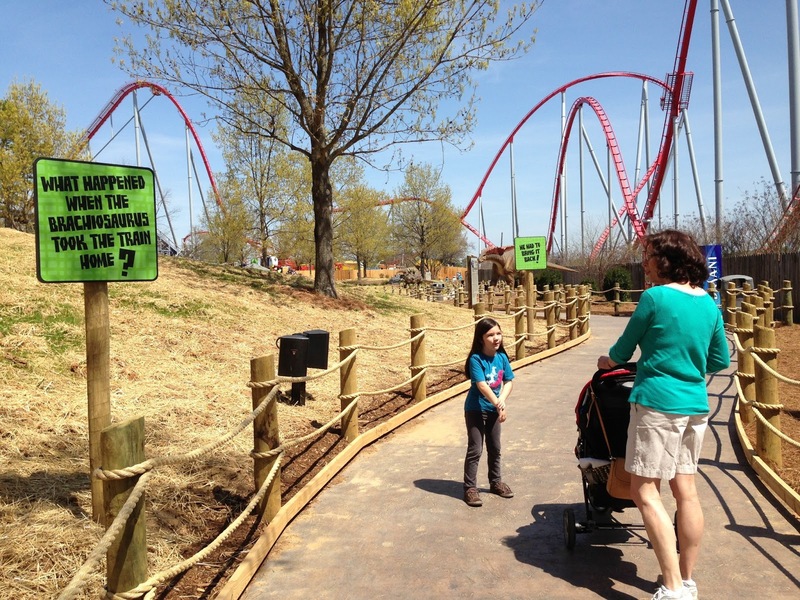 The exhibit is located between Planet Snoopy and the Caroline RFD area. To get to it, you need to go through the Dinosaur Alive gift shop. It is $5 admission with general park admission. I highly recommend checking it out! You won’t be disappointed!